Who is ready for some planning fun? Join us for ABCs of Planning! We thought it would be fun to compile a list of favorite words and lingo used by planner girls. Planner Squad loves to chat about all things planners and we have been putting together a list of planner terms. Are your favorite planning words in our alphabetical list? What is the first word that comes to mind when you think of planning and each letter? Jot down your ABCs of Planning and compare to our list. Make sure to comment at the end with your results! Oh, and bonus points if you can think of more words for the letters “Q”, “X”, and “Z” to add to our ABCs of Planning! is for Planner ADDICT. The planning world is a beautiful place that is hard to leave. So much glitter and colors! B: is for Bullet Journal. Do you love to bujo? This functional form of planning can on a whole new look when a bit of stickers and washi tape are mixed in, don’t ya think? C: is for Charms. Planner charms are so pretty and great ways to customize your planners. Make sure to stop by the Planner Squad Shoppe August 1 to get exclusive Squadette planner charms! D: is for Dashboards. We are often asked, “What are dashboards and how are they used?”. Planner Squad will be sharing more details about this planning accessory soon. Until then, dashboards are basically dividers with special reminders like notes or inspirational quotes. E: is for Embellishments. Add a little (or a lot!) of pretty to your planners with accessories like tassels, pompoms, and bands. F: is for Functional. Planning is not only a creative outlet but also a fantastic way to stay on top of your game! Many planner girls use their planners in a functional fashion with to-do lists, contacts, and other daily reminders. G: is for Gel Pens. A great gel pen is a true treasure! My favorite erasable gel pen is Pilot FriXion Erasable Gel Pens. What is your favorite? H: is for Hand Lettering. These beautiful techniques add a special touch to your planners. I: is for Inserts. Printable or purchased inserts are fabulous ways to extend your planning fun while making them more effective for use. J: is for Junk Journal. K: is for Kit Stickers. Finding the right set of planner kit stickers can send a planner girl to the moon! Perfect for putting together a gorgeous spread! L: is for Layout. Vertical or horizontal? Monthly and weekly. M: is for Mystery Boxes. Who doesn’t love a surprise-especially when it is planner related? You can find fantastic mystery boxes to triple your planner happiness. N: is for Notebooks. These individual units can be used alone or combined in traveler’s notebooks and more. O: is for Organization. Let’s face it-using planners can help us be more organized. Plus, it is super fun finding ways to organize all our planner goodies! P: is for Pens. Having the right pen for a special planner can make all the difference! What is your absolute favorite planner pen to use? Q: is for Quirky. Your planners reflect you! Enjoy the creative process of decorating and using your planners. Each one is special and unique-just like you! R: is for RAK (random act of kindness). Sometimes, very generous planner girls will offer an assortment of planner goodies from their personal stash. For whatever reason they choose to do so, this thoughtfulness is such a blessing! S: is for Stickers. There are so many adorable planner stickers out there! I love the variety and how our selection may reflect our mood, personality, or special event. T: is for Traveler’s Notebook. One of our favorite types of planners are traveler’s notebooks. Brilliant way to organize a variety of schedules, topics, and reminders! U: is for Unicorn. These planners are those special, hard-to-find rarities on every planner girl’s wishlist. When you have been on the hunt for your unicorn planner and find it, it will feel like you have found the Holy Grail and all 7 Wonders of the World! V: is for Variety. The planning world has a plethora of styles, approaches, and accessories. Your very own planners my demonstrate your eclectic tastes. It is the spice of life, right? W: is for Washi Tape. Washi makes the world go ’round! Washi tape comes in so many colors, themes, textures, and sizes. Definitely #1 on my planning list! X: is for Xyron. 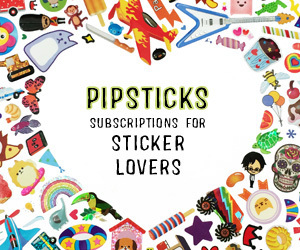 This little gadget makes it easy to create your own stickers and more! Y: is for DIY. One of my favorite aspects of planning is making my own planner goodies. Materials like cardstock, markers, and washi tape can make this DIY girl happy for days! Z: is for Zippered Pouch. I love using zippered pouches for carrying pens, pencils, stickers, and more. Great for planning on the go and just staying organized! What words would you add to our ABCs of Planning? Leave your answers in the comments below. Let’s see how many different planner words we can come up with together! Also, if you are not sure what some of these terms are or would like more information, leave a comment. Planner Squad would love to share more about those planning topics very soon!